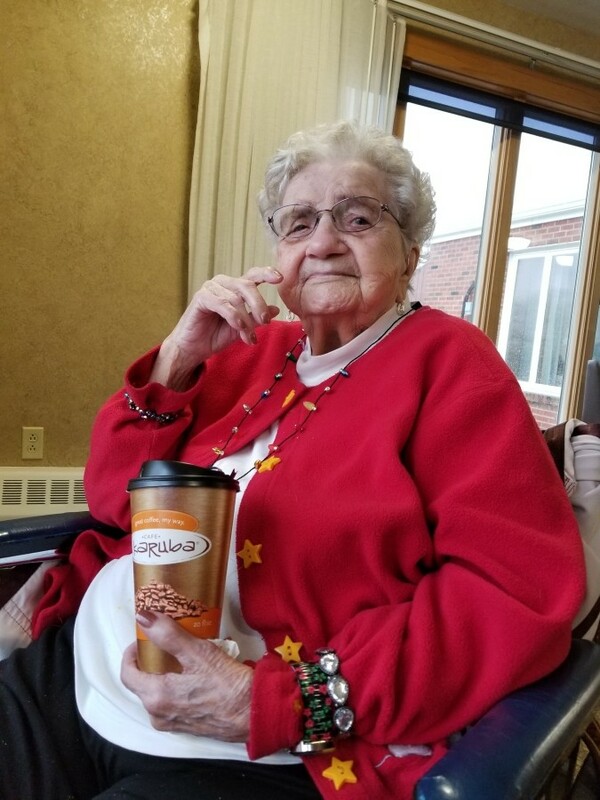 Charlotte Pecinovsky, 99, of Protivin, Iowa passed away on Wednesday, February 6, 2019, at Evans Memorial Home in Cresco. Mass of Christian Burial will be 11:00 a.m., Wednesday, February 13, 2019, at Holy Trinity Catholic Church in Protivin, IA, with Father Aaron Junge. Burial will be in Holy Trinity Catholic Cemetery. Visitation will be from 10:00 to 11:00 a.m., Wednesday at the church. Charlotte Pecinovsky (Tichy/Still) was born on October 14, 1919 in Cresco, IA to John and Hilda (Olson) Tichy/Still. She attended country school and one year of high school, receiving her GED Certificate and attended driver’s training school to obtain her driver’s license to enable her to attend beauty school in Decorah, IA receiving her beauty school license. On June 25, 1946, Charlotte married Edward F. Pecinovsky at Holy Trinity Church in Protivin, IA. She worked at the lunch counter at Woolworth Five and Dime in Cedar Rapids, IA for 2 years while her husband attended Barber School. They then moved back to Protivin where her husband opened a barber shop and Charlotte and Eleanor Houdek worked at the Protivin school lunch program until starting beauty school in Decorah. With her certificate and license in hand, around 1968, she and Edward combined the barbershop into a barber and beauty shop. She worked there until she sold it around 1994. Charlotte was a member of the Rosary Society, Ladies Aide, American Legion Auxiliary for 60 plus years, was chairman of the Junior Auxiliary and belonged to the Senior Citizen Card Club. Once a month she would take the bus to the Casino and play Bingo along with carpooling with the girls to play local Bingo games. In addition to Bingo, she is a lifelong Iowa Hawkeyes fan and a diehard Chicago Cubs fan. She was able to see the Chicago Cubs play twice in Chicago and once in Milwaukee. She also got to see the Chicago Cubs play the Iowa Cubs in Des Moines. Charlotte is survived by a daughter Doris Pecinovsky and many nieces and nephews. She was preceded in death by her parents John and Hilda (Olson) Still; her husband, Edward F. Pecinovsky who died March 27, 1988; his father and mother-in-law Frank and Anna (Martinek) Pecinovsky; brother Robert “Bob” Still; sister-in-law Ruby Still; sister Marjorie (Still) Humpal and brother-in-law George Humpal, her husband’s siblings and spouses Edward and Caroline (Pecinovsky) Hovorka, Louis and Margaret (Kroll) Pecinovsky, Bill and Evelyn (Pecinovsky) Pecinovsky, Arnold and Bess (Pecinovsky) Cornwall, and Ben and Ruth (Goetz) Pecinovsky.